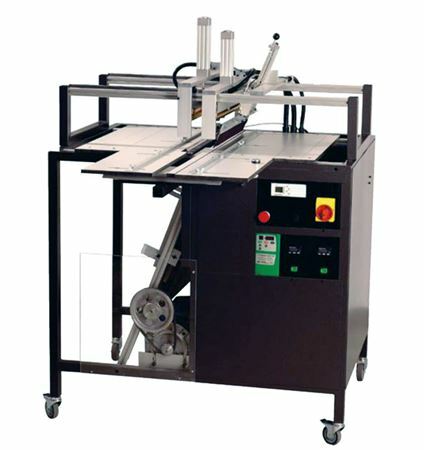 Specially developed semi automatic bending machine (foil bending machine) for processing large series of thin plastic plates with 1 or 2 bends. The machine is equipped with vacuum feed system and electronic temperature control units. Fully automatic heating, bending and conveying process. Up to 3000 finished products per hour! Working length: 65 cm or 50 cm. Heating Upper Sheet thickness: 0.4 - 1 mm. Distance between heating elements: 45 420 mm. Connection voltage: 220 - 230 Volt.